Many of our travelers are purely wine connoisseurs. We’ve welcomed many clients who have made finding the perfect additions to their basement wine cellars a top priority on their European getaways. Luckily, to Italians, wine is like water; it’s necessary to human existence. Our private tours take you to several Tuscan vineyards, creating the perfect offshore excursion or day-trip from Florence. 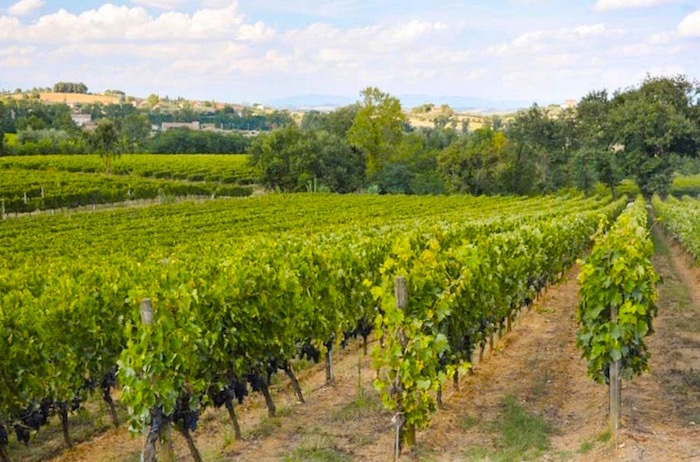 Additionally some of our favorite vineyards are just a short drive from Rome. Here’s our guide to the best vineyards in Italy to give you an idea of the paradise that awaits you on your next tailor-made vacation. The drive up the Tuscan hills will undoubtedly excite you for what is to come. From your private transfer to the beautiful Chianti region, you will be able to spot orange groves and charming rolling hills. 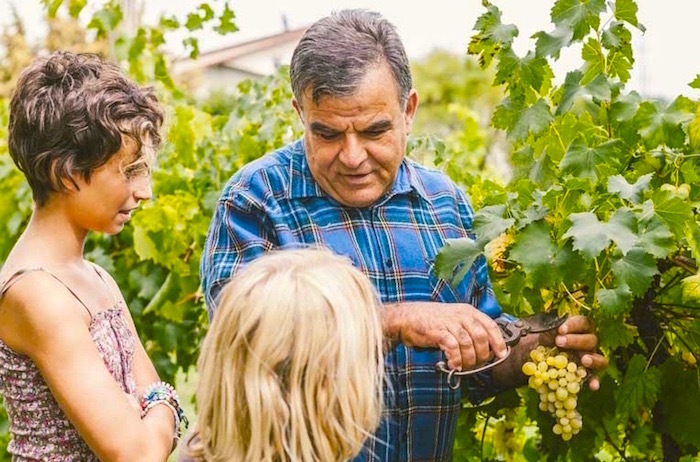 On your private tour, Owner Silvano will journey show you through the ins and out of the grape harvest and give you an exclusive tour of his Tuscan estate. Not only will the wine enchant you, but Silvano’s 30-year-old olive oil and balsamic will charm you into bringing home your favorite Italian specialties. Tenuto Casanova also has delicious lunches available, providing you with Italian fare enriched by ingredients that were grown on the very estate you’re visiting. The Montebarnardi estate extends over 130 acres, giving travelers an all-the-eye-can see perspective of fruitful Tuscan hills. If you’re a Chianti Classico enthusiast, this violet-scented vineyard will assuage your cravings. 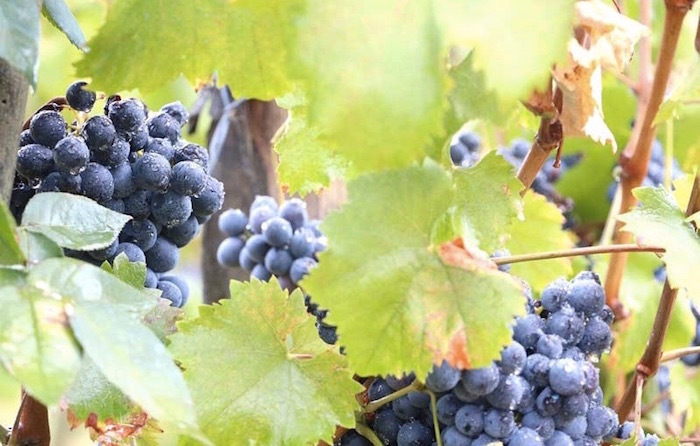 The wine curators at Monte Bernardi systematically farm their wines biodynamically, creating an environmentally conscious process for their harvest. It’s hard to go wrong when visiting vineyards in Italy, but this one guarantees a high-end experience. Tasting fine wines atop the scenic mountains of Panzano makes for the perfect day trip. The wine experts at Tenuta Riseccoli will tell you that wine making is far more than a profession, but an art. Located in the hills of Greve, this is yet another sweet spot in the Chaint region. This estate offers two different wine collections. The Riseccoli range features high-end wines, while the Rinascita range is more for everyday consumption. Of course, the Riseccoli collection will remind you of why you traveled to Italy in the first place. This estate also offers private holiday villas fit for the ideal escape to the Tuscan countryside. Grab a good book, a glass of locally grown vino and whisk away your days in Italian bliss. Looking to explore the rustic Italian countryside on a leisurely drive? Have a seat in one of our luxury transfers and escape to Montalcino, away from the crowds of Florence or Rome. Le Chiuse is yet another beautiful vineyard to explore. Charming olive groves and woodlands await you. This Italian vineyard produces over 30,000 bottles of wine each year. Expect to taste delicious Rosso di Montalcino, Brunello di Montalcino, Brunello di Montalcino Riserva and a classic sparkling wine called Stellare. The estate has four apartments, each with private kitchens, quaint fireplaces and scenic views. Sip some Brunello by the pool or even test out your skills at the estate’s bowling alley! If you’re one to struggle between choosing a Merlot or Sangiovese, this vineyard produces the solution to that debate. Owner Paolo Baldini has created a Supertuscan wine made with 50% of each. This vineyard has been in the same family for three generations now, but have added more land with each generation. Enjoy some Chianti Classico with a family that knows all there is to know about producing wine. Like many vineyards in Italy, Agircola Altiero also produced freshly pressed olive oil. However, their newest project is their cosmetic line, made from grape and olive skin. If you’re a supporter of natural and organic cosmetics, ask Paolo and Samuela about their creations.